When you plant a garden, the last thing you do is leave right away without making sure it will be watered. In fact, if you’ve worked hard at planting it, it’s very difficult to leave. In many ways, that describes my situation as pastor of Calvary & Grace. September 10 was my last Sunday serving both churches, upon accepting a call to a church in Oregon, Wisconsin. I’ve been called to both Ulen & Crookston since the spring of 2016 and served as pastor since last summer. I’ll be the first to admit that it was a relatively short ministry. The call to Wisconsin was unexpected. 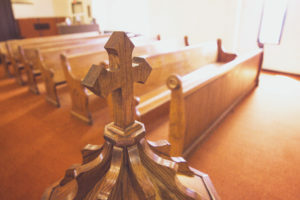 In our church body, the Evangelical Lutheran Synod (ELS), pastors don’t seek calls. They don’t even interview. Calls come from the congregation which usually gets a list of names from the synod president of men with certain skills that the congregation may be looking for. It is unusual for pastors to receive a call soon after starting at a new parish, although it isn’t unheard of. And yet, when it happens, although the call came from a congregation, it is really God who directed it. That means serious thought must be given. The book of 1 Corinthians, (which was written to them by their former pastor, the Apostle Paul, who had served them for only a year and six months) guides pastors even today in the call process. In speaking about the spiritual gifts belonging to each member of the body of Christ, Paul explains that there are differences of gifts and ministries. “But,” he says, “the manifestation of the Spirit is given to each one for the profit of all” (1 Cor. 12:7). This is the main criteria for deliberating a call: not how big or small the town is, not how big or small the congregation is, or even how large or small the salary is, but where a man’s specific God-given skills can be best used to serve for the profit of all. There’s the comfort for pastors as well as for congregations. God finds men with specific gifts to serve at the right point in time. That also means that God has another man in mind for Ulen & Crookston. In fact, Calvary & Grace have already extended a call to another man to be their new pastor. He will now have to go through the same process as he deliberates where God would have him serve. Earlier on in 1 Corinthians Paul actually compared the ministry to planting a garden: “I [Paul] planted, Apollos watered, but God gave the increase. So then neither he who plants is anything, nor he who waters, but God who gives the increase” (1 Cor. 3:6-7). Pastors (including myself) are dispensable. Christians aren’t. We serve for the good of all and God blesses the work. Although it has been a short term, I was able to do a little planting (or maybe I watered what the previous pastor planted). It’s hard for me to leave what I feel I worked hard at, but then I have to remember that’s irrelevant. If any work was accomplished at all, it wasn’t I who did it. God gave the increase and God will continue to do so. God’s churches will continue to be watered after I leave, after the next guy leaves, and so on, until God finally brings His harvest home. Soli Deo Gloria. The voters of Grace today decided to vote to move forward – with some restrictions – on a proposal to use the current facility at Grace for an Early Childhood Learning Center (ECLC), if only a small center at first. 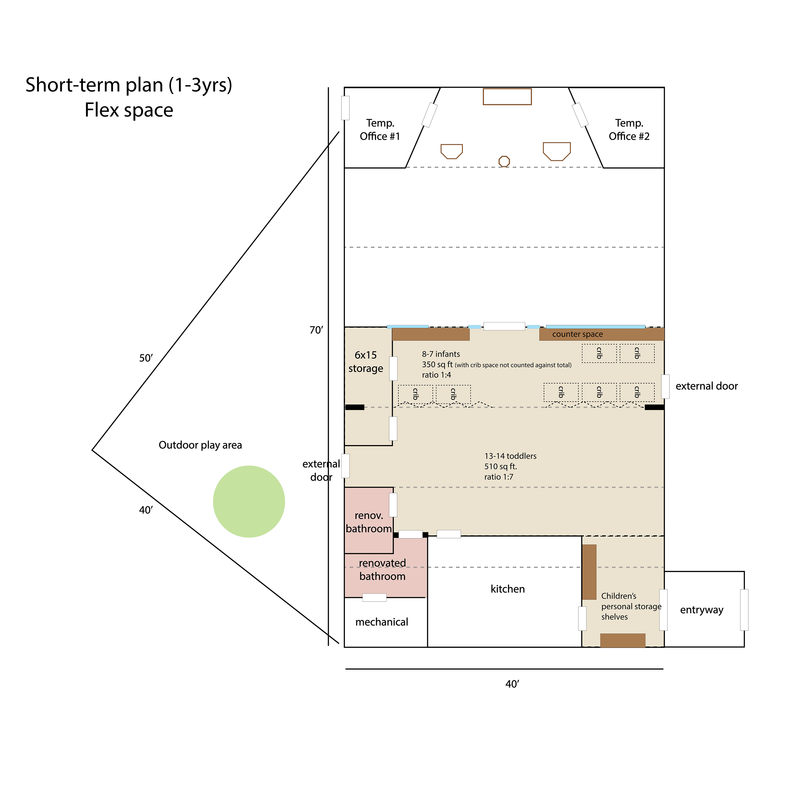 The plan states that, with some modification, the current facility can hold around 22 children (possibly 8 infants and 14 toddlers). 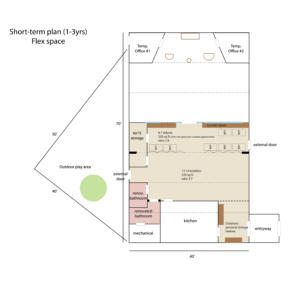 A permanent wall with glass windows will need to be constructed 10′ beyond the current folding wall to separate the sanctuary from a new multipurpose/classroom space in the area where Bible Study is currently held. A new exterior door will be added to the new classroom space as well as additional storage. 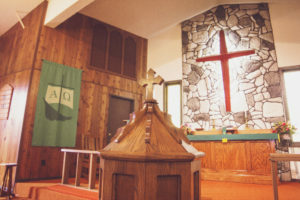 A renovation of the sanctuary was also included in the estimated budget. 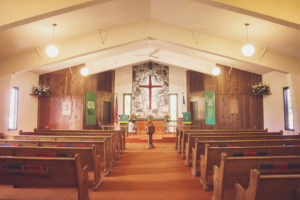 Even after the renovation, the capacity of the sanctuary will still be at around 55, with an additional overflow of 30-40. 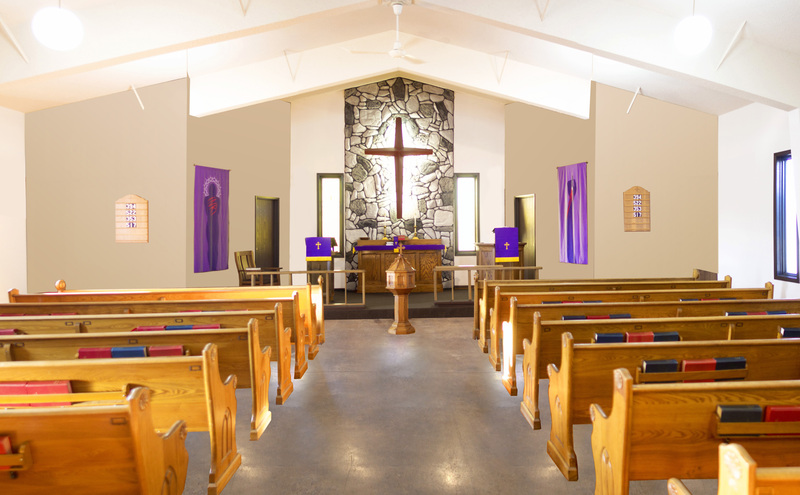 As the church calls a new pastor jointly with Calvary, Ulen and awaits for a new pastor to accept the call, construction will be held off until the new pastor arrives. 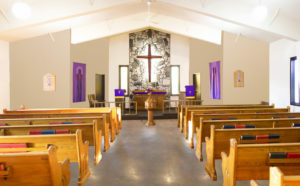 Rendering of possible renovation to the sanctuary. Work also needs to be completed on the business plan for the ECLC to determine if in fact it is feasible to hire the amount of staff required for the number of children. The small number of children may cause our weekly rates to rise to a rather high rate. Yet, with the critical shortage of child care in Crookston, it is felt this can be overcome, however research still needs to be done in this area. Another hurdle is hiring qualified staff: according to some in the community, there may not be enough trained staff currently in Crookston (which would be an issue for any center, not just ours). This however isn’t a question we can answer until we move further along in the process. Since this center will be operated as an extension of the outreach arm of our congregation and seek to teach children God’s Word at their level, a director for the ECLC will need to be called from the Synod at some point. Also at the meeting today, it was unanimously decided that the congregation apply for full membership in the Evangelical Lutheran Synod (currently we are classified as independent & in-fellowship). Provided the Synod accepts our request, we well be received at the 101st ELS Synod Convention in 2018. Next steps include submitting requests for a number of grants, including one grant from the ELS Lutheran Schools of America (LSA) board for up to $50,000 to be used to help renovate our facility to be used for childcare and to purchase childcare equipment. Additional grants from Tri Valley Opportunity Council and Crookston Housing and Economic Development Authority (CHEDA) will be sought after for help with initial staffing when the time comes. An ECLC Steering Committee will be formed, comprised of some who were at the meeting today. Others in the congregation will be reached out to for their possible involvement in the committee as well. Staffing and cost issues will continue to be researched. We will continue to praise God for the opportunities He has presented us with and pray for His guidance in the future. Thanks to all who attended today’s meeting and for all who have contributed to the project so far. This coming Sunday, August 27, Grace will have a special voters’ meeting in regards to a proposed Early Childhood Learning Center (ECLC) at our church that Pastor and our Officers have been working on since January. Please join us Sunday if you are able. “We will provide a service to our community. “We will positively impact children and their parents. In receiving a divine call to Faith Lutheran, Oregon, WI, I have been given the immensely difficult challenge of determining where the gifts that God has given me can be put to the best possible use. St. Paul, in speaking about the spiritual gifts belonging to each member of the body of Christ, explains that there are differences of gifts and ministries. “But,” he says, “the manifestation of the Spirit is given to each one for the profit of all,” or as another translation says, “for the common good” (1 Corinthians 12:7). As I have prayerfully struggled with this thought, I have been led to the conclusion, for conscience sake and out of love for those I have been called to serve in either place, that the Lord would have me accept the call to Faith Lutheran Church, Oregon, WI. So it is with both joy and sadness that I announce my acceptance of this call. It is with joy because I am confident in the promises that the Lord gives through His Word to strengthen and equip believers, and I know the Lord will bless my efforts at Faith. I believe that it is at Faith where the skills God has given me can be best used “for the profit of all.” In talking with various leaders in your church, I can sense an earnest desire to reach out with the message of the Gospel in your community. I would be happy to lead your congregation in that endeavor. At the same time, I am truly saddened to leave the members at Calvary and Grace. In the short time that we have been here, we have developed many friendships at both churches and in both communities. My wife has also found a place in a nearby community teaching. What is more, I also have the promise that the Lord would have continued to bless my efforts here as well. Nevertheless, I still have God’s promise that He will bless the ministry of both congregations in the future. One of my chief concerns about leaving is an Early Childhood Learning Center project that the members of Grace have been pursuing. But I am confident that the Lord’s will will be done in regards to the Center. To be quite honest, I believe that my skills have been put to good use in the first phase of the project, but that others may have better and more suitable skills than I in future phases of this project. It is not about me or any one person after all, it is about furthering the Gospel. We have not even had the chance to think about plans in terms of timing, etc. But we will certainly inform everyone involved as our plans solidify. I have many more thoughts, but cannot bear to tell them now. Please keep all of the saints at Calvary, Grace, and at Faith in your prayers. Please keep us in your prayers as we make this transition.